Hello and thanks for seeing what we're up to. Today I have an art journal page for you. The quote pretty much sums it up just perfectly. "Limitations are only in our minds. But if we use our imaginations, our possibilities become limitless." Well now, isn't that the truth? 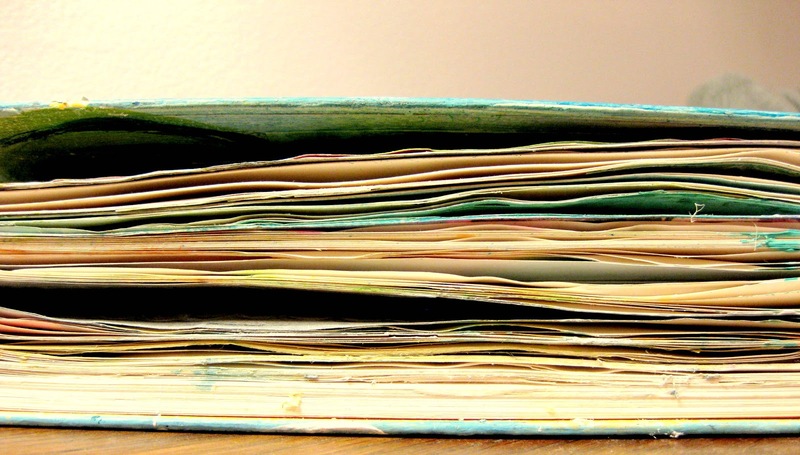 This art journal is filled with pages about my own art journey I've been taking this year. I'm learning so much along the way. Not only about art journaling but also about myself as a person. I started off by mixing a bit of Claudine Hellmuth paints in white and black to get various shades of greys. I also cut out some hexagons (enabeler alert...it's on sale!!!) using the Sweet Pieces set. The paper is the Tangerine 6x6 paper pad from My Mind's Eye. I was able to simply outline then with a little white paint using the coordinating Sweet Stamp Shop stamp set. I also used a warm grey Copic for some detail shading and the script quote along with the Distress Marker in Picket Fence. The wings are a collage sheet I found here. Lastly I grabbed some black paint and did a little splatter effect. Hope I was able to inspire you a bit today. Don't forget Kim has some of the Sweet Shop Stamps at almost 50% off so be sure to pick them up before they are all gone. You can do that here. Nice, love that look of used pages!!! 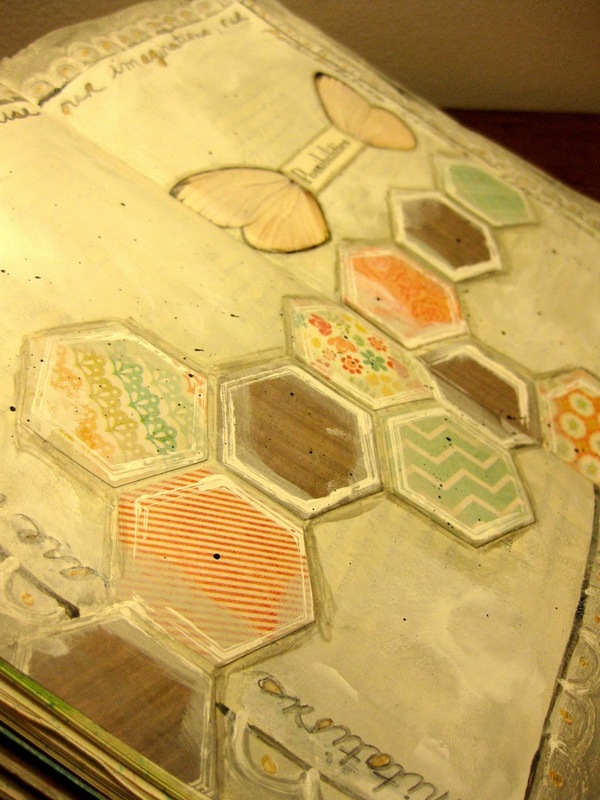 And I really love how you incorporated hexagon die cuts into your page. (Why don't I ever think of that??!!! :-). Wonderful page and I am so digging my Picket Fence Distress Marker out...... and start using it. Love the color pallet you chose! Cool! Love that quote and such a fun page!